Most recessions are unexpected. But they begin with a lack of conviction. That’s what we’re currently seeing in the markets, as the first-quarter earnings season reveals the cracks on Wall Street. And, much like cockroaches, a single crack means hundreds more are lurking beneath the foundation. In yesterday’s Digest, Jeff talked about the dangers of collateralized loan obligations, or CLOs, which are essentially cousins to the CDOs that toppled financial markets in 2008. This is but one part of the doomsday narrative playing out on Wall Street today. As Louis Navellier recently discussed in Growth Investor, earnings for the S&P 500 have declined by approximately 4.3% in Q1, with five sectors posting lower year-over-year growth. Worse, all 11 sectors have lowered earnings forecasts. Yet, stocks remain expensive, with the S&P’s forward P/E ratio sitting above its 5-year and 10-year average. A mix of near- and long-term narratives are weighing on sentiment, including the release of the 400-page Mueller report this week. Sure, it’s almost certain that the Mueller report will not incriminate the president or even offer up echoes of Russian collusion, but it will add to the climate of political uncertainty that continues to hang over markets. In the meantime, President Trump is lashing out at the Federal Reserve, believing that without quantitative tightening (QT) the market would be 10,000 points higher. That would mean, at its current perch of 26,420, the Dow would have to gain roughly 38%. That’s not unheard of considering the Dow gained 45% since Election Day, but very few investors are pulling down those numbers in today’s climate of trepidation, where we’re seeing a startling decline in profitability. The good news is that the ultra-low interest rate environment continues to fuel more stock buybacks. In the first quarter, S&P 500 companies bought back $227 billion of their outstanding stock, according to FactSet. That’s a 58.7% increase over the $143 billion in stock buybacks recorded in the first quarter of 2018. There is no doubt that the low interest rate environment is fueling these stock buybacks. Monday’s leg lower in the S&P 500 and Dow Jones Industrial Average was led by a heavy outflow of cash in a select group — the financials. Goldman Sachs, a D-rated stock in Louis’ Portfolio Grader, posted mixed earnings, which impacted GS shares to the tune of 3.3%. Even Citigroup, which beat earnings, saw its stock wobble as investors couldn’t stomach Citi’s 20% decline in its trading division. Goldman Sachs trades roughly 3.3 million shares on average at $201.66 per share, while Citigroup trades an average volume of 15.53 million shares at 68.32 … when these stocks fall, they hit hard. But just as a group of stocks could tank the market, a handful of stocks are capable of leading equities higher. Earlier I mentioned how President Trump believes the stock market should be as much as 10,000 points higher. It would mean a 38% rally in the Dow. Right now, there are equities waiting to run higher. Much higher. I’m talking triple-digit returns or more … enough to lap those near-40% gains five times before even catching a wind. These, as Louis calls them, are “Money Magnets,” and they are sitting right under our noses. You just have to turn over the right rocks to find them. It’s for these reasons that I’ve advised staying focused on companies with superior fundamentals. I fully expect the first-quarter earnings season to pull back the curtain on stocks with decelerating earnings and shine the spotlight on stocks that are able to maintain strong earnings growth. And, as with every earnings season, I look for better-than-expected earnings and positive guidance to dropkick and drive select stocks higher in the upcoming weeks. When I discuss what’s happening on Wall Street at my dinner table, I tend to stick to the basics: buy when other investors are fearful, sell when posturing takes over … and stay away from flavors of the month, which you may see recommended by non-professionals in your Facebook feed. For investors who aim to outpace the market rather than mimic its returns, there are but a few investments that attract the bulk of institutional cash flows — these are Money Magnets. Speaking of earnings season, according to my favorite economist, Ed Yardeni, many institutional investors may brush off the lackluster earnings results for the S&P 500 since first-quarter sales growth is expected to remain strong and earnings growth for the next year is anticipated to be relatively strong. Yes, analysts have aggressively cut first-quarter estimates, but, in my opinion, that means we may be on the verge of another round of big operating earnings surprises. Historically, the analyst community has cared more about earnings surprises and positive forward guidance. So, as companies post better-than-expected results and reveal strong forward-looking earnings guidance, I expect shares to climb higher. 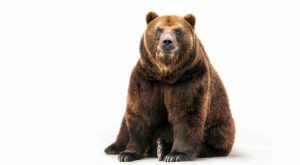 Article printed from InvestorPlace Media, https://investorplace.com/2019/04/this-is-how-you-beat-back-a-bear-market/.